The end of the day seems easier when you can come home to some sunlight. The sunsets around here have been amazing as well. 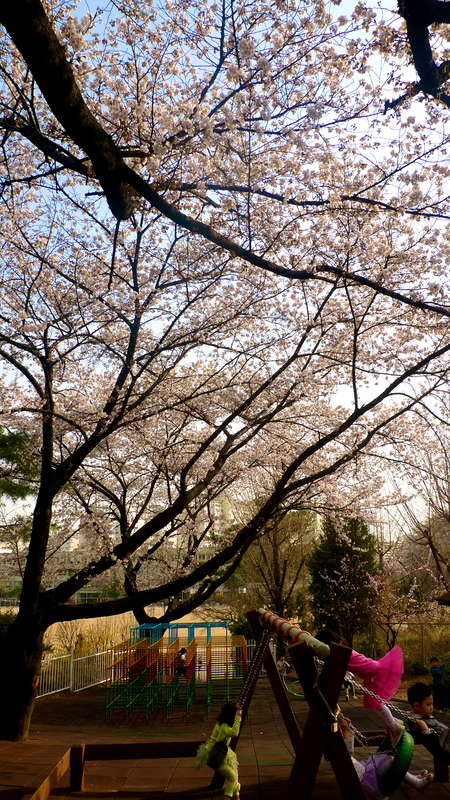 I just love the cherry blossom trees and how they constantly pull your eye to look at them. Enjoy your semi-lit rides home. I love the longer days. It’s still new enough to be a delight when I get out and I can still see my car. Beautiful pictures. We aren’t there yet! The greatest feeling in the world is leaving school when it is still light outside!!! 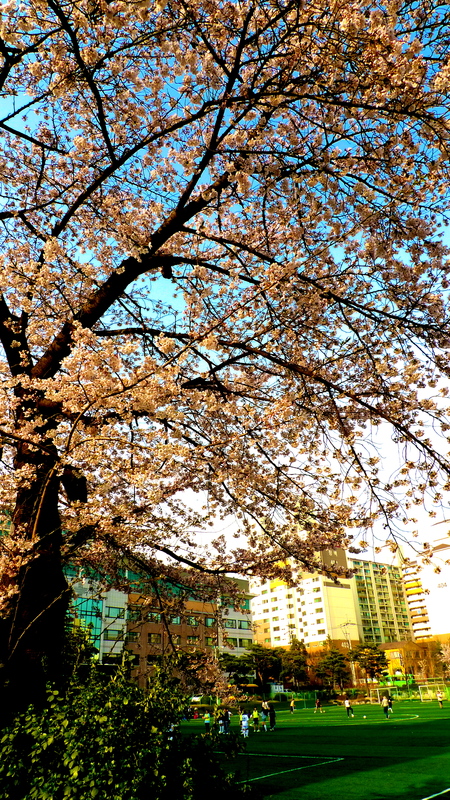 I went and took more pictures of the cherry blossoms today^^. Love, love, love! Lovely pictures–and I am so jealous. They have just announced that school is dismissing in an hour because of snow! 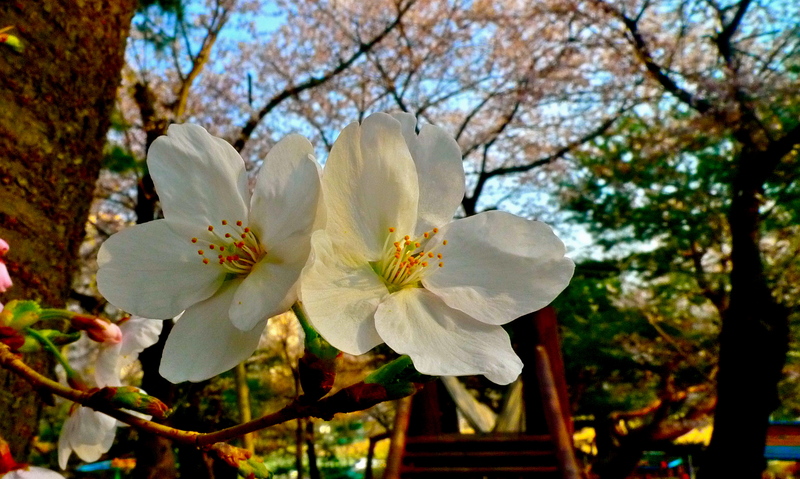 Even though you were loaded down, sunlight and blossoms lifted you up with renewed energy. It’s amazing the effect nature has on our outlook and attitude. Love the pictures, how beautiful! Oh, wonderful longer day hours!!! I can go shopping longer when I’m an hour from home! No one has mentioned this yet about spring! Funny, it’s like that in Seoull and here, also! Thanks for reminding us that in spite of the cold temps, it is still spring!!!! The light seems like an added gift-longer time to ‘see’ the flowers’ blossoms, the grass greening. Thanks for the reminder! I love moments of wonder like the one you just shared. You suddenly are struck by a simple noticing. I love your pictures. I, too, like the contrasting images you wrote about – a loaded bag and a light sky, shoulders sloped but sprightly footsteps.